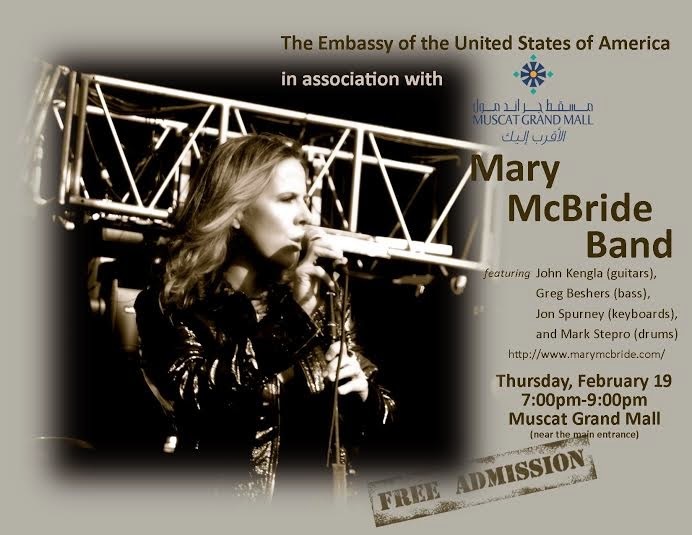 Another one in the series of free music events hosted by the US embassy here in Muscat. Tonight at the Crowne Plaza, or on Thursday evening at the Muscat Grand Mall see's performances by the Mary McBride band. The show tonight is from 9pm-11pm and the one on Thursday is from 7pm-9pm - and of course, true to US Embassy fashion, it's free for all.